Session Share: A Day at The Park! 20 Apr Session Share: A Day at The Park! Inspiration: These are great clients of mine who are always lots of fun. Mom wanted to have a laid back session in September – so we grabbed a blanket, throw pillows, some apples, giant lollipops, and a great park location. Her little girl had lots to be busy with – but of course, the fall leaves held her focus pretty well, too! Favorite Element: I am a huge sucker for warm, evening light – and an even bigger sucker for adorable kids who love the camera!! Biggest Challenge: Thinking back on this session, I honestly can’t remember any big challenges. The only thing that comes to mind is that the lollipops kept breaking! And that is pretty minor (I’m glad that I brought three of them!). What the Client Said: She thanked me for making it such a relaxing, laid back session. They loved the images – and the custom CD case that they came in! 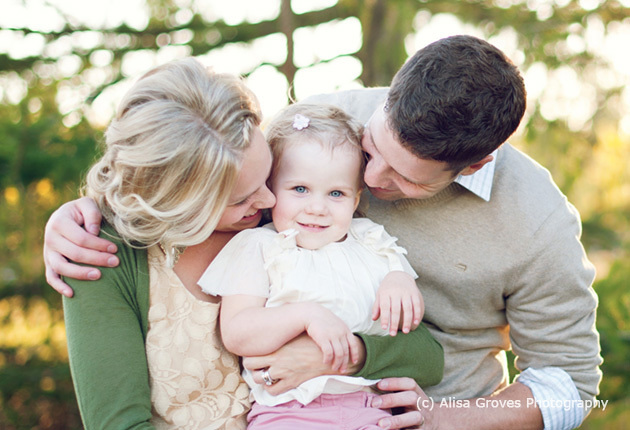 Photographer’s Final Words: I love working together with clients to plan their family sessions. Taking a bit of time to find out what they’re all about, and what they might want to do to make the whole experience fun and exciting for their kids. I am really excited about my 2012 families!